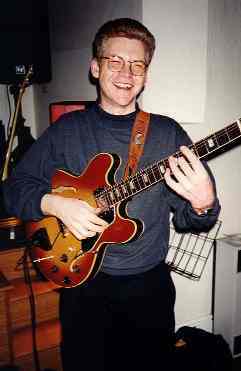 Colin is a professional guitarist (teacher and performer). He regularly plays with the `Supremes` on their U.K. tours and has recently been touring with the 'Rocky Horror Show'. He is one of the most versatile and admired guitarists in the UK playing in countless sessions and backing bands for big names in the world of pop, rock, and jazz.